EAW032342 ENGLAND (1950). Old Park, Bone Field Plantation and Home Farm, Rossington, 1950. This image was marked by Aerofilms Ltd for photo editing. 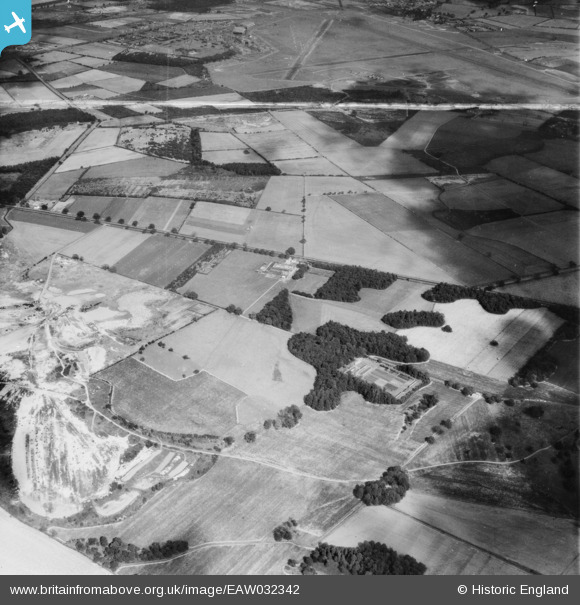 Title [EAW032342] Old Park, Bone Field Plantation and Home Farm, Rossington, 1950. This image was marked by Aerofilms Ltd for photo editing. Aircraft, seemingly parked up at the edge of the runway. Three twin engined aircraft, possibly Gloster Meteors of No. 616 Squadron. A single twin engined aircraft.